It’s common sense, but it’s also been proven time and again that happy employees are better employees. And these better employees are more invested in helping customers, more productive, and more invested in their work. That’s not good for anyone – your business, your customers, or your employees themselves. The key to avoiding unhappy employees is to invest in your people, and there are some very easy steps you can take to make your employees feel better about their jobs. It’s definitely not fun to run a company full of unhappy workers. And we’ve gone through our share of low team morale over the years, so we know the struggle of turning the ship around. But we also know the benefits of doing so, for both our team and our customers. We genuinely care for our employees – beyond just providing a paycheck. And we want them to know that we value not just their daily needs in their jobs, but their personal goals and growth too. If your reaction to the idea of investing in your employees’ individual knowledge and skills was the first one – don’t be too hard on yourself. It’s a human reaction, and a trap that we fell into here at Antisyn at times too. But the reality is that not training our employees and investing in their individual growth was far more detrimental to our business. Even more sobering…. it’s detrimental to our employees as people – which is a big concern for us, as our company was built around our first core value of “Focus on the People”. So, using our values as guiding principles, the value of investing in our team’s personal growth and development became glaringly obvious. Ongoing training opportunities – We regularly look for opportunities to help familiarize our whole team with various technologies, such as online training, lunch & learn sessions, or some after-hours hands on experience together. New certifications – We offer to reimburse employees for 100% of the exam costs of any new relevant certifications they achieve. We want our employees to get better at their jobs, be more skilled, have more knowledge, and advance their careers. Not just for our customers or our bottom line – most importantly, for our employees as people. Obviously we’re a tech company, so providing the right technology should be important to us. But it should be important to non-tech companies too. Because investing in employees by providing them with the right technology to do their job doesn’t just make their job easier and more comfortable, it also increases their efficiency and productivity. Our employees often need to be typing while they are on the phone with clients, so we give them each comfortable and easy-to-use headsets so they can have their hands free. With proper IT lifecycle management planning, we make sure our employees have fast, modern computers that work well so they aren’t frustrated and slowed down by machines that take forever to respond, software that is constantly freezing or crashing, etc. Our employees need to be able to multi-task while they are working and frequently need to have multiple things open and on their screen, so we give each of our employees multiple monitors for their desktops. For our mobile employees who are frequently out on-site, we give them laptops with a full docking station at their desks so they do not have to bounce back-and-forth between computers to do their job – they can seamlessly transfer from doing work at their desk to heading out to do work on-site by just picking up their laptop. 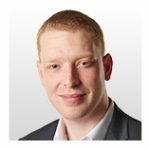 There are lots of ideas for how you can use the right technology to invest in your employees, and lots of technology to choose from. Just give them great technology… that works. Remember the “Corporate Dilemma” from a few paragraphs ago? 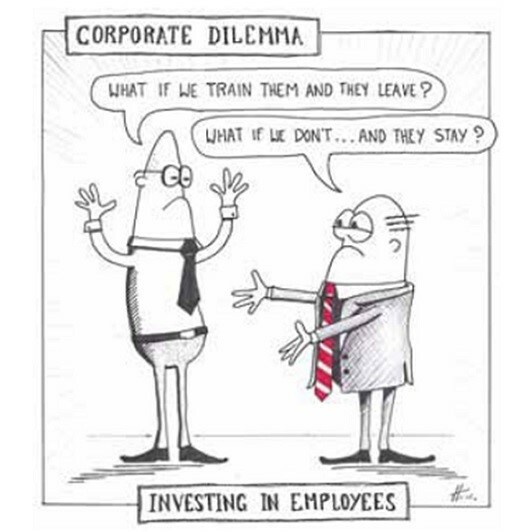 There is a way to eliminate the risk of training an employee only for them to leave… make sure they never want to leave. Here at Antisyn, we put a ton of thought and work into always trying to build the company culture we want to have. And that’s an important step. 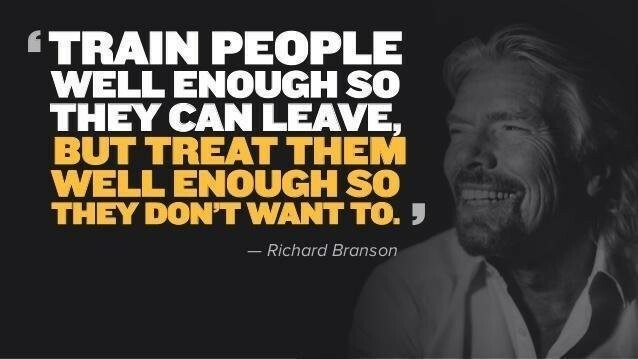 But it’s a big one, and there are also lots of little (and easy) steps towards treating employees so well they never want to leave. One of the biggest investments we made in our employees was implementing our system for tracking employee engagement as one of our business metrics. Because we knew that to cultivate the culture we wanted, we needed our employees’ input about what we could be doing better. It isn’t the easiest thing to face sometimes – exactly what your employees think – but it’s an absolutely essential thing to face. Not just because it gives you actionable data you can use to improve, but more importantly… it tells your employees that their opinion is wanted and valued. At the end of the day, your team just wants to make sure their voice is heard, so it’s important that you give them a way to speak up and then regularly use their feedback to find opportunities to improve. And that’s a huge investment in your employees. Investing in your employees is not only the right thing to do, it’s a strategic move to better your business. We’ve seen amazing results with happier and more productive employees, but it hasn’t been easy and it doesn’t happen by accident. Start by simply asking your employees about the things that would make them happier at work and then actually work on implementing the changes. You’ll be glad you did and the results might surprise you!